- 07 night accommodation at hotel in Hurghada on bed and breakfast basis. Arrival at Luxor international airport, You will then be transferred to Nile Cruise which will be your home for the next 7 nights. Check in, Dinner and overnight on board in Luxor. After breakfast, you will visit the East Bank of Luxor (Karnak and Luxor temples) with your tour guide. You will be back on board for lunch. In the afternoon, the ship will sail to Esna. Dinner and overnight on board in Esna. After breakfast, you will start your daily visit in Edfu the huge temple dedicated to the God Horus by horse carriage with your tour guide. Lunch on board. Your ship will then sail to Kom Ombo. Dinner and overnight on board. Breakfast on board, the boat sails to Aswan. Once in Aswan, you will visit the High Dam and Philae temple. You will be back on board for lunch. Dinner and overnight on board in Aswan. Lunch on board. 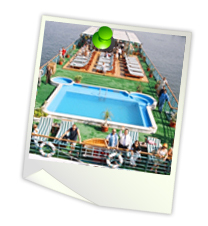 In the afternoon, you will take the felucca boat and visit the Botanical Garden. Then back to the ship for dinner and overnight. In the early morning, Nile Cruise will sail to Kom Ombo, where you will visit the temple. Sail to Edfu. Lunch on board and enjoy the beautiful sailing to Luxor. Dinner and overnight on board in Luxor. Day 9 / 14 Hurghada. Free days at leisure. Overnight Hurghada.